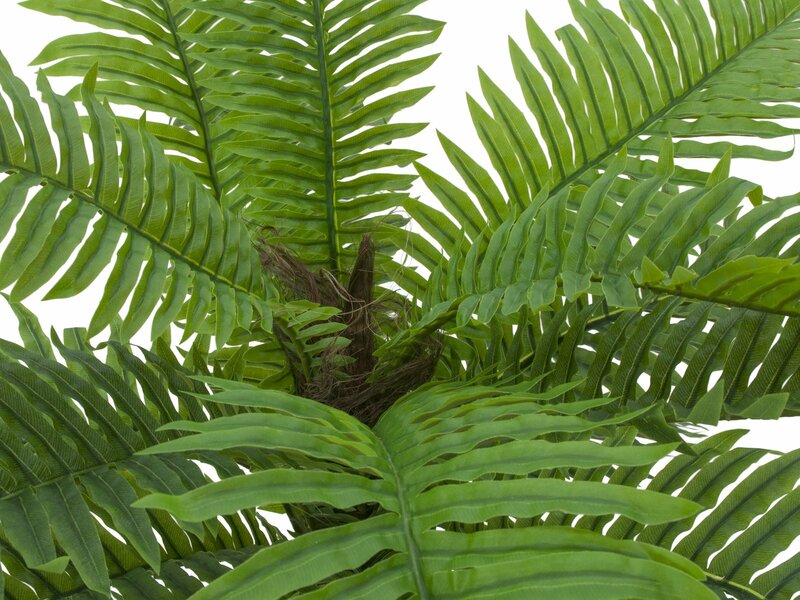 The natural model of this deceptively authentic looking Cycas palm of Europalms is a fossil among the plants and belongs to the family of palm ferns. A special detail of this artificial plant is the processing of real palm fibre material along the trunk. 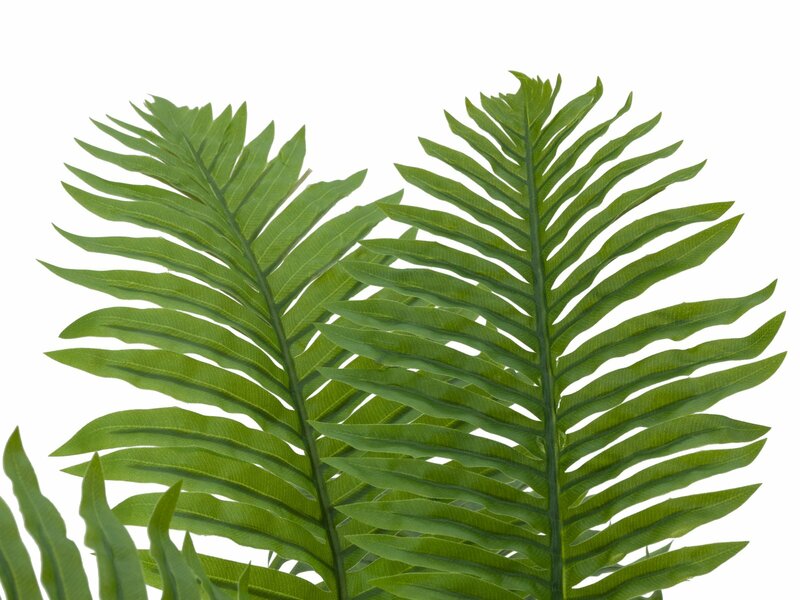 The leaves of the fronds are made of waterproof tarpaulin and are worked true to detail. The palm tree is ideal as a houseplant or as an addition to an existing arrangement. It has a total height of approx. 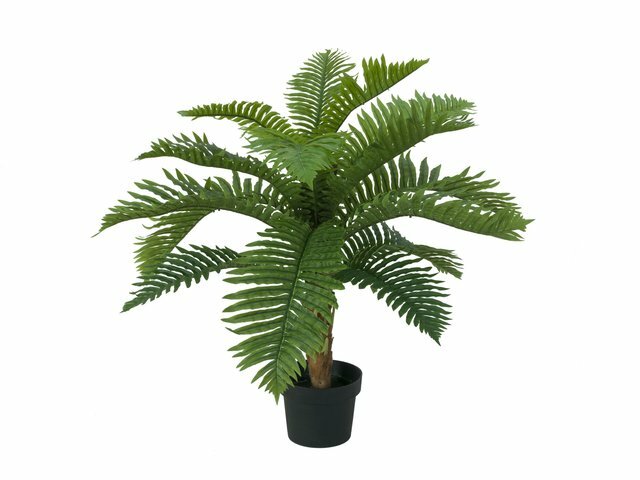 70 cm and is supplied in a basic gardener's pot, which gives the plant a stable stand when placed in a planter.